Hello everybody! The SoundStudio party has arrived. I expected that there would be more things to do at the party but we'll just have to enjoy what we got. Note: If you don't know how to play the SoundStudio game click here. 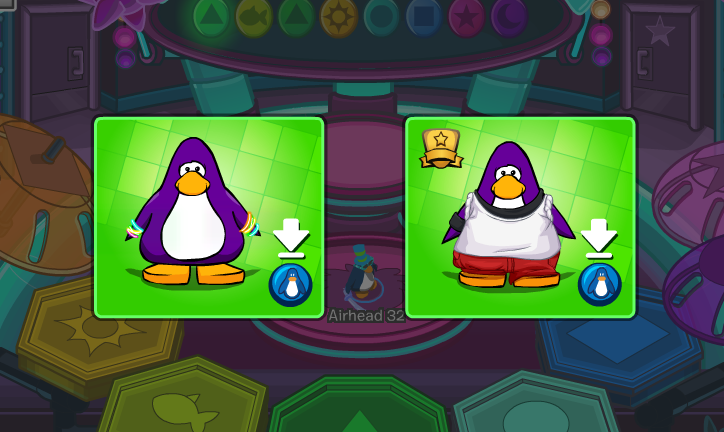 Every party we are able to collect special items. For this party you're going to need to make some music to collect items. 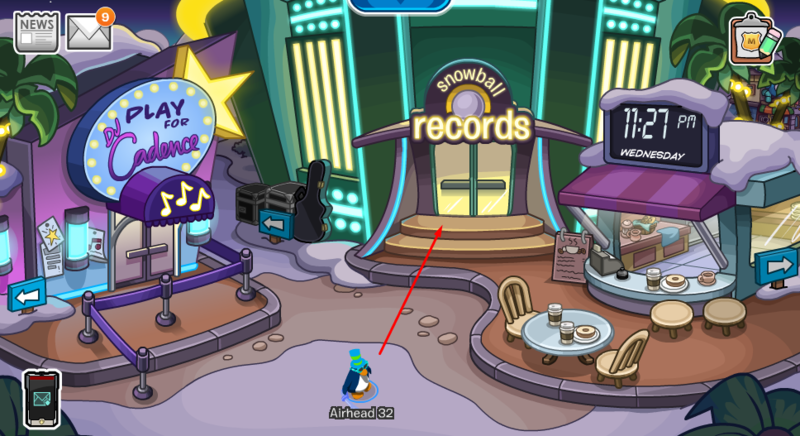 Head over to the snow forts and walk inside Snowball Records. 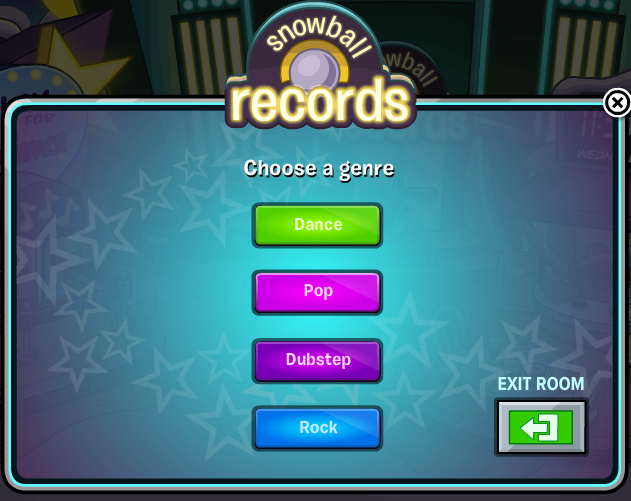 You now need to choose a genre (or a type of song). There are free items to collect in every genre. For this post I'm going to choose the dance genre. You will notice that there are shapes above you. Follow the shapes in the same order to create music. Once you're done you'll be able to collect your free items. 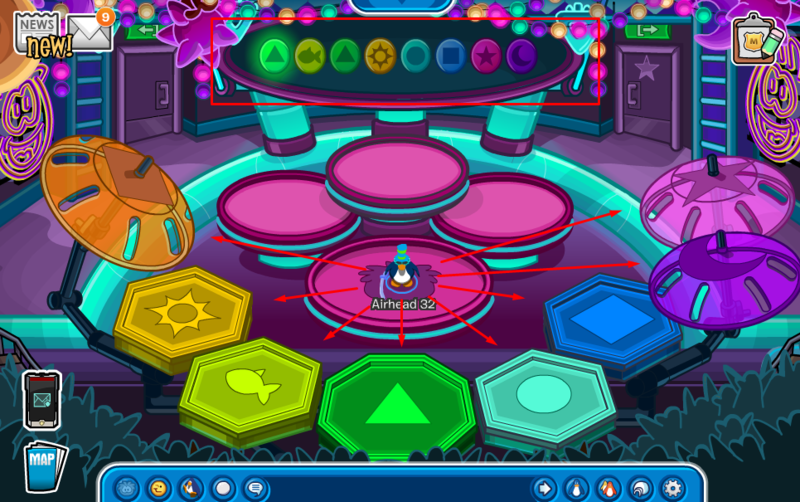 Of course, like every party, there are items for members and items for non-members. 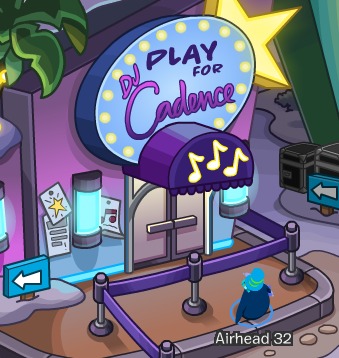 If you're a member you'll be able to enter the Play for DJ Cadence building at the snow forts. It's for members only!